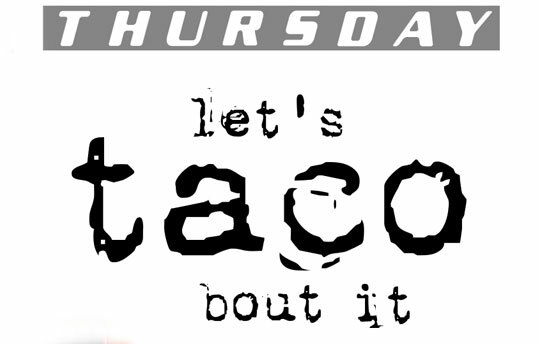 Spice things up every Thursday with fresh tacos on the grill and salsas made in house. $6 doubles of margaritas, sangria, and watermelon mojitos. Enjoy 2 for 1 Mexican beers all night long. Drink specials last all night long! Weekly taco choices can include ground beef, sirloin tips, potato chorizo, pulled pork, fried fish, chicken, quinoa and beans, and shrimp.